Miller has capitalized on the viral power of Carson Williams’ Christmas lights video with a television advertisement for Miller Lite. A double-story house is emblazoned with Christmas lights including a beaming star, moving Christmas trees and a peace symbol. Across the top floor is a display reading, “Happy Holidays”. Viewers are encouraged to ‘Enjoy the Lites” and are presented with a six-pack of Miller Lite beer. 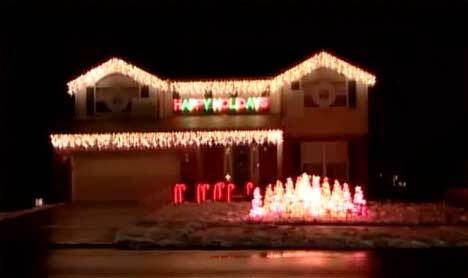 Carson Williams is an electrical engineer in Mason, Ohio, who used Light-O-Rama software and 88 channels to control 16,000 Christmas lights in 2004 and over 25,000 lights this year. Residents were able to view the lights synchronized with a a Frosty song, ‘God bless the USA’ and ‘Wizards of Winter’. Williams broadcast the 12 minute soundtrack on FM from a low-power transmitter in his computer. Unfortunately local traffic conditions deteriorated and police had to ask Williams to turn off the display after a car accident. However the ‘Wizards in Winter’ section of the show is hosted on numerous internet sites. 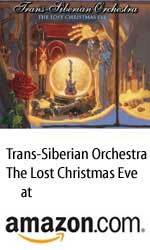 The music is from Trans-Siberian Orchestra‘s The Lost Christmas Eve album. See the article at podcast of WDMG.com Dan’s interview with Carlson Williams. Snopes has a reference to TV and radio interviews. Carson Williams has posted instructions for creating the Wizards of Winter animation at Wonderland Christmas, courtesy of Don, a Christmas lighting peer in Texas. The Miller Lite Christmas Lights commercial was created by The Martin Agency, Richmond, Virginia. The Wizards in Winter clip is available to view at Metacafe set to the sounds of Barbara Streisand singing Jingle Bells. Download the ‘Wizard in Winter’ track from iTunes with the link below. Note: The Miller Lite Christmas Lights advertisement has in some cases been mistakenly attributed to Budweiser.